uzzle Lace is the next installment in our lace series. Set up in a puzzle configuation but still easy to assemble. This collection looks fantastic in any color combination or do it heirloom style in an off white thread and then antique it with tea. 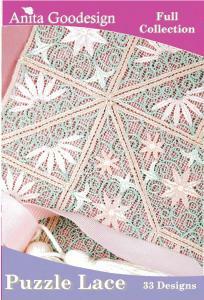 Puzzle Lace is that next cool project you've been looking for.